Managing the company information with Salesforce provides the ultimate support. Salesforce provides the website visitors, clients, managers, and service agents the required platform that acts according to their needs. Creating and managing the company information and sharing them securely using the Salesforce is much easier when compared to other customer relationship managing (CRM) systems. Implementation of Salesforce lets you have a point-and-click options, also it allows you code the required enhancements, leading to happier customers, and more productive working agents. Salesforce is the Customer Relation Management platform which is rated as the world’s number one CRM. And also one of the highest paying employers in the United States. 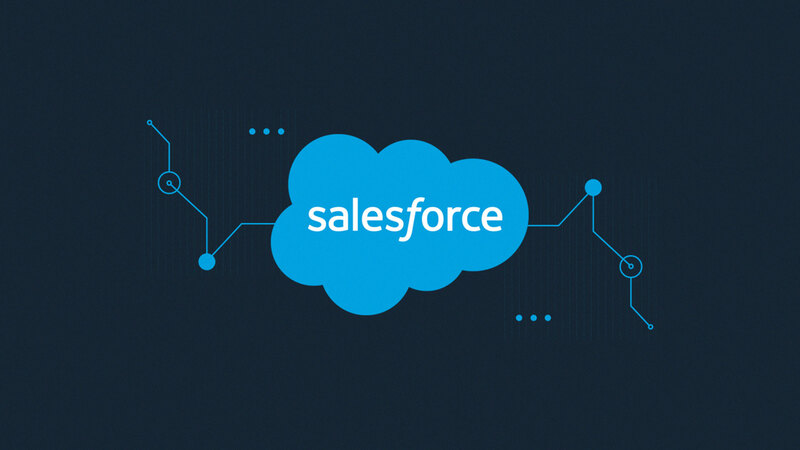 Salesforce empowers the enterprises to connect. Salesforce has evolved to be an important tool for organizations to operate their businesses effectively. Salesforce has etched its name in the history through its CRM capabilities. Statistics show that more than 2,00,000 organizations depend on Salesforce platform for their business functions. In digital marketing Salesforce has acquired its big space with the sales cloud, turning Salesforce into a major CRM player in the industry. There are innumerable capabilities of the Salesforce platform and a vast area where Salesforce can prove to be useful in the business. The main actors who mould the Salesforce in a way that leads to customer satisfaction are Salesforce developers and Salesforce administrators. The Salesforce Administrator and Salesforce Developer have unique tasks to perform and both the professions are in high demand in the IT industry. Equality Advocacy: Equality for all was never compromised at Salesforce. Salesforce employment is never based on the gender, nationality, religion or race and ethnicity. The scope of the equal pay assessment to evaluate both salaries and bonuses globally was introduced by Salesforce. Feedback App: Salesforce has an internal Feedback App to have a different approach to feedback and performance system. It helps to review the processes, real-time, the management and employees to provide and receive regular feedback. Hence the internal communication and work environment ensure the workers feel recognized for their accomplishments and receive guidance as and when needed, to continuously improve the performance. Volunteer Time Off Program (VTO): Salesforce also acts as a philanthropic company, by having a volunteer time off program (VTO). All employees of Salesforce have a benefit of seven days of paid time off (that’s 56 hours) every year. The days the employees can spend the days meaningfully giving back to the society. Ohana Design: Ohana means “family.” Salesforce ensures they have a consistent experience across the workspaces that encourage value and culture. Salesforce promotes home like furnishing, and atmosphere close to nature, with natural light and views. Social lounges are provided with snacks and beverages for the employee’s convenience. Salesforce has designed Ohana floors where the customers, partners, and friends can be invited for discussions in office that feel like home. V2MOM: The V2MOM is the business plan that defines a process that describes how to execute the plan where everyone can participate. It provides a transparent plan that gets aligned with the work culture defining the goals, priorities and progress. The V2MOM management process provides accountability of the company to its employees. V2MOM ensures we are aligned with our goals and priorities and are positioned to execute our vision from the top down to every Salesforce employee. Trailhead: It is a fun learning tool that helps people both the employees and customers develop their knowledge and skills for work at Salesforce.Using the tool employees can learn about everything regarding the products and services and explains the Ohana culture and the Salesforce’s management style. Trailhead acts as a fun, self-paced tool for anyone who wants to work in the Salesforce ecosystem. Wellness Reimbursement: offers employees a generous $100 every month to be used for health and fitness programs. Mindfulness Zones: Office spaces where people can go to unplug and recharge. Parental Leave Program: this is for the parents/caregivers when a child is born or adopted. This is to build the bond between the baby and the parents. In this scheme, primary caregivers can take 26 weeks paid leave and secondary caregivers can take 12 weeks paid leave. Working with Salesforce ecosystem, not only provides great pay and perks, but also the opportunity to learn. The values and environment of trust, growth, innovation, equality, success, transparency, well being, and fun makes it even more worthy. This article is presented by William Hills, he is a professional technical writer with an experience of more than 8 years. He has written a variety of contents in past and now writing for salesforce Consulting company, IT and business consulting services, salesforce integration, crm solutions, and many more related topics.